Join us every Sunday morning at 8:45 am for our adult Sunday School Class. 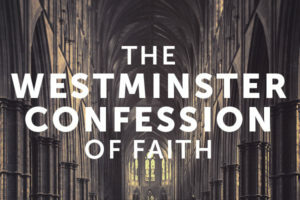 We are currently study through the Westminster Confession of Faith. Class starts at 8:45 with some coffee and refreshments. At 9:00 we begin class and end in a time of prayer. Child care is provided. Join us every Sunday morning at 9:00 – 9:50 am for our adult Sunday School Class. We are currently study through the Westminster Confession of Faith and close with a time of prayer. Child care is provided.